I'm in serious re-entry mode after an incredible 4-day quilting retreat. More on that later! But I wanted to pop in and say that I've got a pattern for Baby Ingrid in Issue 7 of Fat Quarterly! If you've purchased the issue, I'd love to know what you think. Have a fabulous Tuesday! Beautiful quilt! And glad you could have such a great time at the retreat. I love your quilt Krista!! It is so beautiful and sophisticated I want one exactly like yours! Lovely quilt Krista! I'm glad to know you arrived home safe and sound. It was lovely to meet you and share retreat time. Same time next year?? I just love this quilt! So beautiful. Can't wait to hear more about the retreat. Bought a copy of the fat quarterly! Yours looks fabulous! Oh congrats. 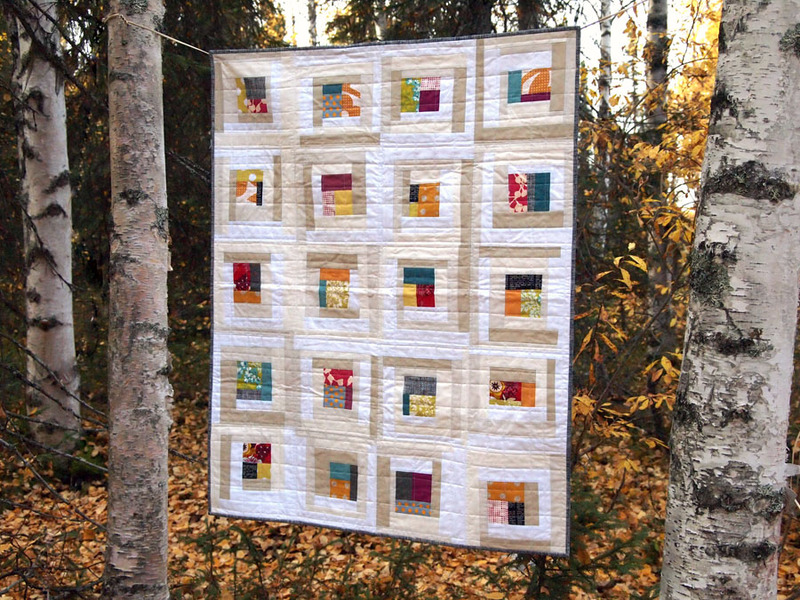 I love this quilt with its mellow color. That's a wonderful quilt! So sweet! And useful for a scrap project! Genious!